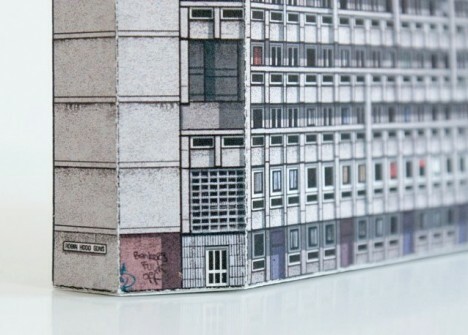 Rendered in minute detail right down to curtain colors, satellite dishes and graffiti, these paper miniatures mimic London’s iconic Brutalist buildings, including the Balfron Tower and Space House. 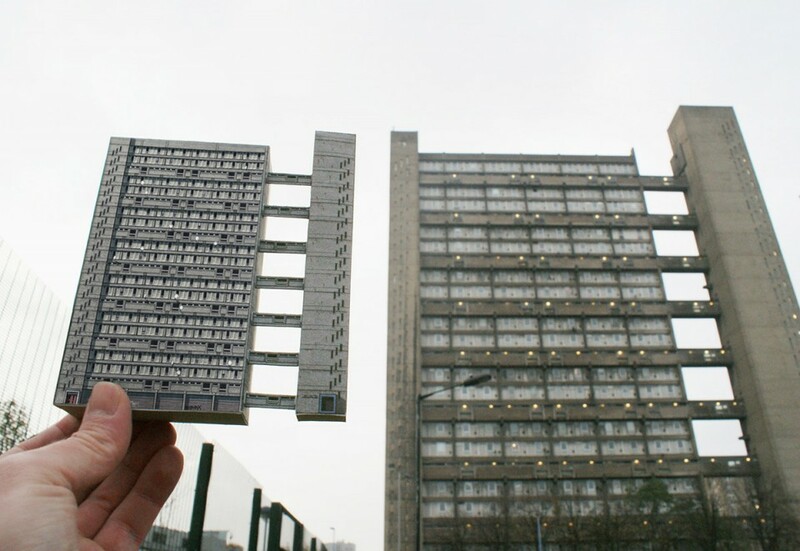 Two housing blocks that have been at least partially demolished are among the 3D cut-out models celebrating and preserving these oft-maligned concrete structures. 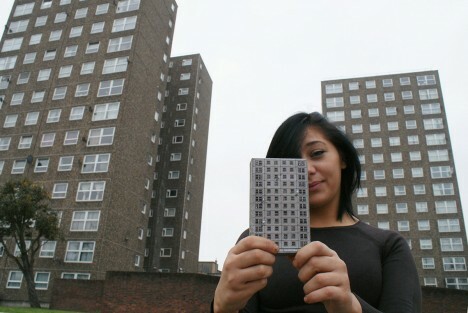 Zupagrafika design studio carefully studied each building, taking photographs from all angles to capture the smallest details. 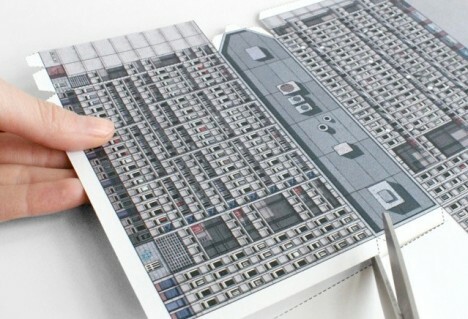 The collection of five models is available for €5 each at their webshop, arriving in a flat pack so you assemble the components yourself. 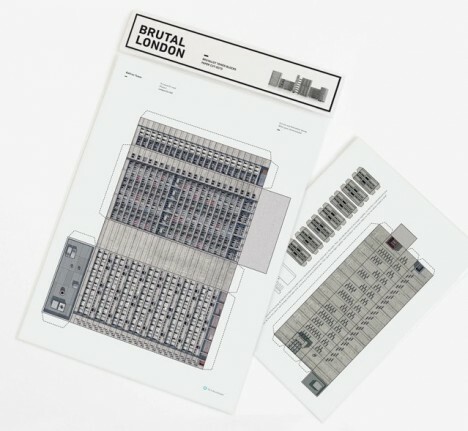 The kits include short notes on the architects, the year of construction and the location of each building. 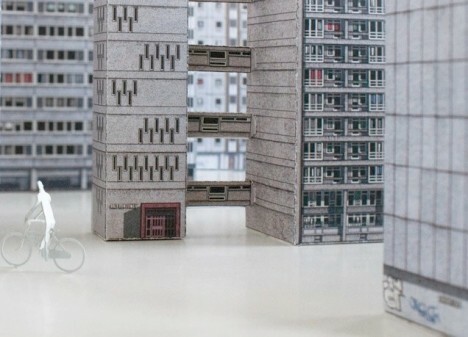 The studio previously created paper cut-out models of modernist buildings in Warsaw as well as notable elements of the urban fabric throughout Poland that were first designed in the ’60s or ’70s, including advertising columns, cars, traffic lights and ticket validators. 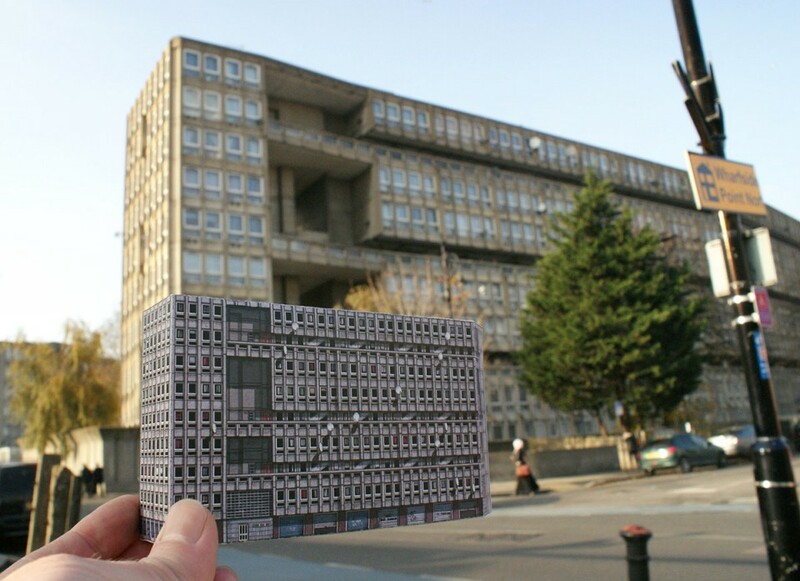 Brutalist architecture is one of the 20th century’s most controversial styles, criticized for being too cold and confrontational and nearly always made of raw concrete. 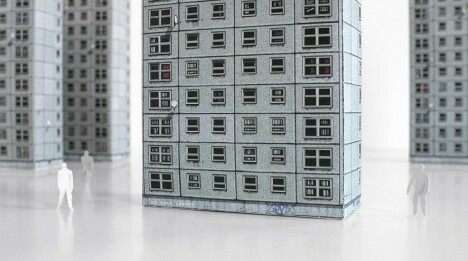 Maybe it’s not for everyone, but anyone with a soft spot for its harsh angles and unapologetically utilitarian nature can now create their own little cityscapes on a table or shelf.